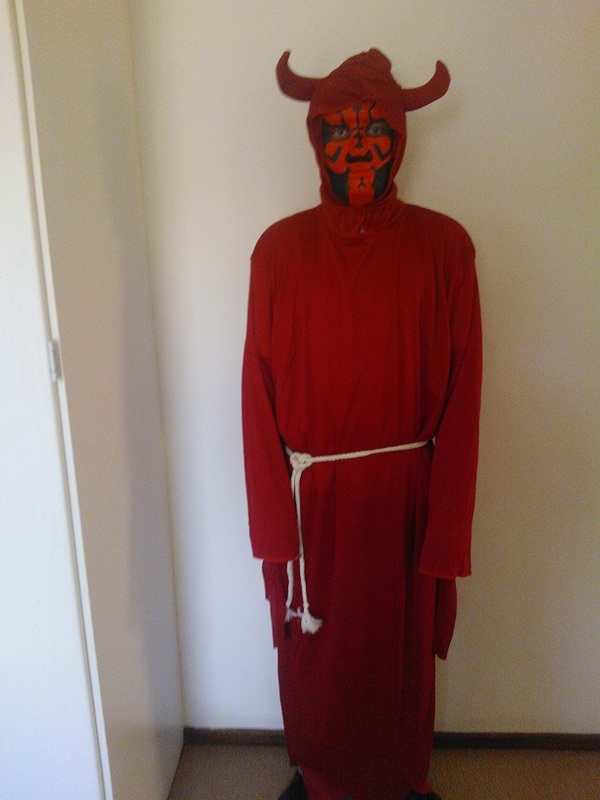 Painted the mask myself to emulate Darth Maul. That is fricken sweet dude! Is it me or is it kind of a smug Darth Maul, kinda like he's smiling, except being Darth Maul it looks like he knows something horrible that you don't, like he was diddling your mother last night and he's busy thinking of ways to tell you. Though it's probably an artifact of being displayed in 2D (the smug expression, not Darth Maul's insidious conduct). Some people may think you are trying to come across as Satan. I was preparing for the halloween party last night. However, Im surprised nobody else has anything to share! Still need to get yesterday's from a friends camera... zombocalypse!